This is crispy "fried" chicken without the oil. 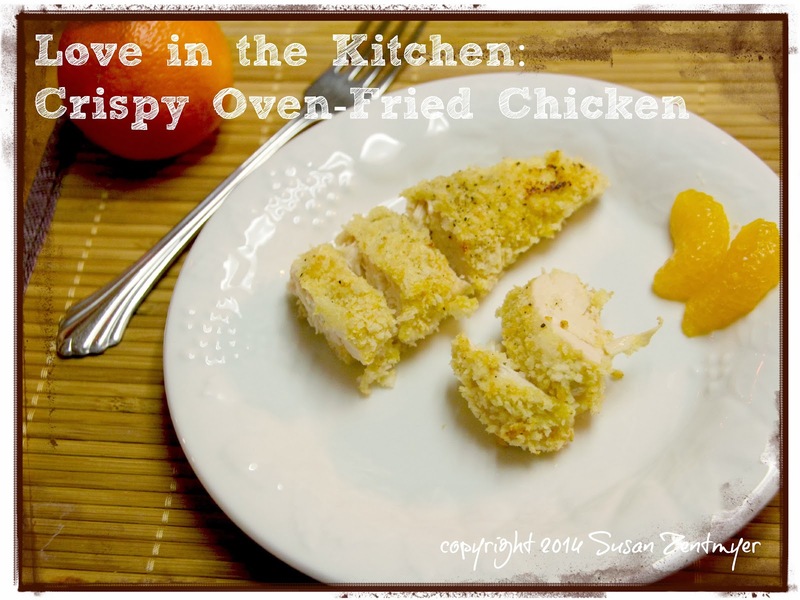 The crispy and just a bit spicy coating helps keep the chicken super-moist too. And with a total recipe time of just over a half an hour, this is an easy one to make for dinner on a busy weekday. Preheat oven to 350F. Spray a silpat covered baking sheet with cooking spray. Whisk together eggs, mustard and cayenne pepper in a medium bowl. 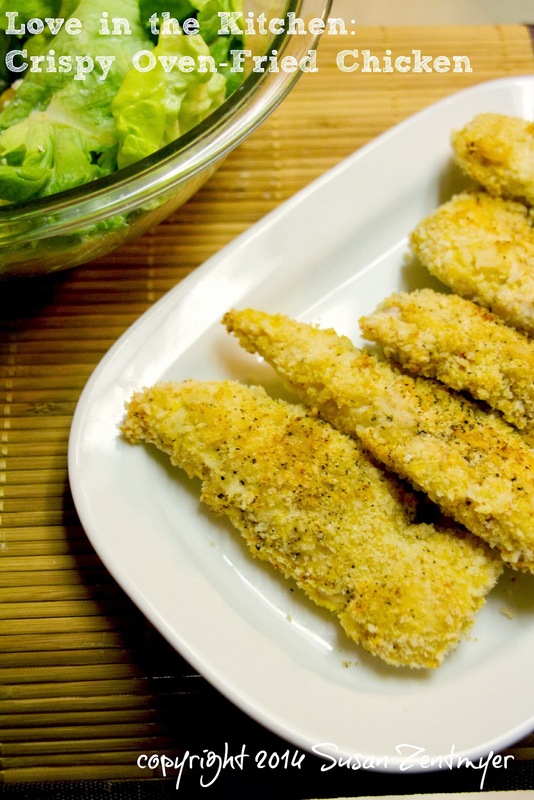 Spread bread crumbs in a shallow bowl or onto a plate. Place the piece of chicken on a silpat covered baking sheet, and repeat with the rest of the chicken. Spray the chicken with cooking spray (helps the bread crumbs get that golden-brown color). 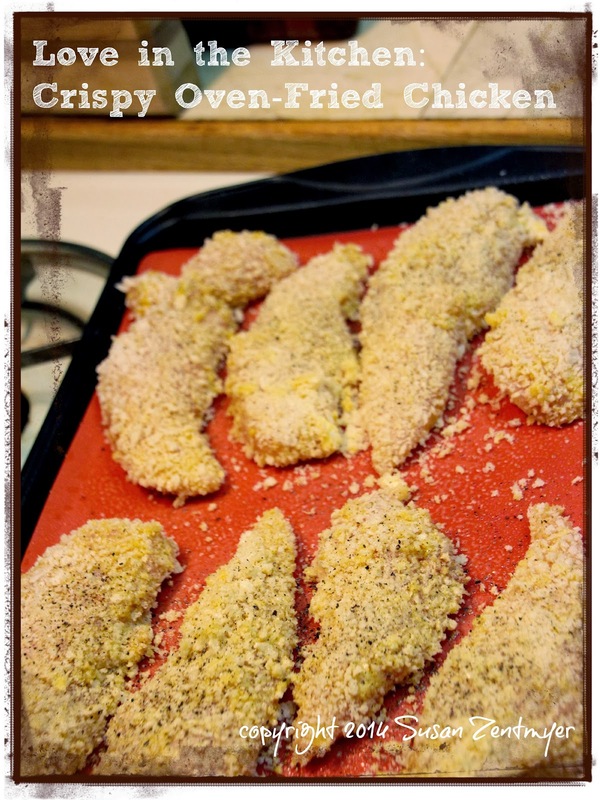 Bake at 350 for 25 minutes (flipping the chicken after 15 minutes) or until the chicken is golden brown and crispy. 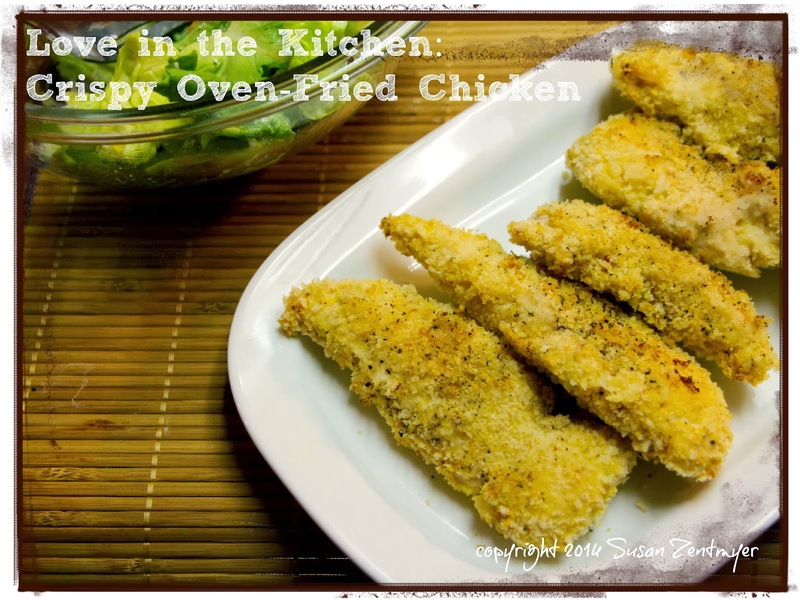 I just love this version of "fried" chicken. While it isn't my grandma's cast iron skillet fried chicken, it is a lot healthier, a lot quicker to make, and tastes every bit as good.